Ethereum provides a decentralized Turing-complete virtual machine, the Ethereum Virtual Machine (EVM), which can execute scripts using an international network of public nodes. Ethereum also provides a cryptocurrency token called "Ether", which can be transferred between accounts and used to compensate participant nodes for computations performed. Gas (Ethereum), an internal transaction pricing mechanism, is used to prevent spam and allocate resources on the network. The Ethereum network runs on a blockchain which is secured by miners. These miners run a Proof-of-work system consensus algorithm called Ethash. There are future plans to move to a Proof-of-stake consensus algorithm. ﻿﻿Vitalik Buterin proposed the ethereum protocol in his 2013 whitepaper with the goal of creating a general purpose blockchain platform to support decentralized applications and smart contracts. 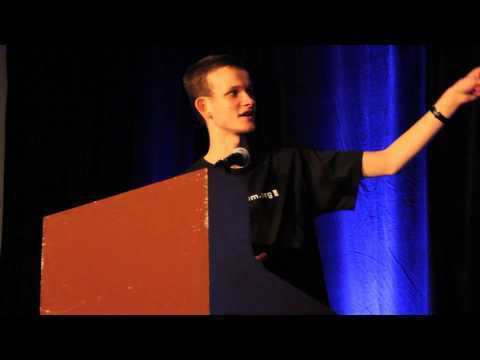 Buterin had previously contributed within the Bitcoin developer community and found limitations to the Bitcoin scripting language including lack of Turing-completeness, value-blindness, lack of state, and blockchain-blindness. Ethereum was formally announced at the North American Bitcoin Conference in Miami, Florida. ﻿﻿Ethereum was funded by an initial coin offering (ICO) launched in July 2014﻿. According to the Ethereum foundation, within the first two weeks more than 50 million ETH were sold. In total, the 42-day public ether pre-sale raised 31,591 bitcoins worth approximately $18 million dollars at the time. Prior to the official launch of Ethereum, a series of proof of concept versions of were released culminating in the beta release named Olympic on May 9th, 2015. The purpose of Olympic was to engage the community to stress test the network, build decentralized applications, and start running nodes. Total rewards of 25,000 ethers were distributed to community members for contributions in the four categories of transaction activity, virtual machine usage, mining prowess, and general punishment. ﻿The initial public launch named Frontier was released on July 30, 2015. This release provided instructions for generating the first block in the ethereum blockchain known as the genesis block, which was created with a unique parameter from the hash of the ethereum testnet block #1028201 and contained all transactions from the ethereum crowdsale. The second major release of ethereum named Homestead went live on March 14th, 2016 on block 1,150,000. Homestead included protocol changes providing changes to the network giving increased ability for further upgrades, improved transaction speed, and improved security. The Metropolis release will be split into two parts - the first of which called Byzantium was for released on block 4,370,000 on October 16, 2017. The Byzantium release will introduce privacy features zk-snarks and zero-knowledge proofs to the ethereum blockchain, a feature added due to collaboration with the developers of Zcash including Zooko Wilcox. Additionally, the Metropolis release will include account abstraction, returndata, and revert capabilities. The release date for second part of metropolis named Constantinople has not yet been determined. ﻿The last planned release of ethereum named Serenity plans to include features to transition ethereum from a proof-of-work consensus protocol to the a proof-of-stake based on the Casper protocol being developed by Vitalik Buterin, Vlad Zamfir, and others. Serenity is also scheduled to implement sharding. Day 1 presentations at Devcon3. Source: Ethereum Foundation. The planned Byzantium hardfork is successfully released. The upgrade provides support for zk-snarks, account abstraction, and other changes. EEA is a consortium of companies developing standards for working with Ethereum distributed ledger technology. Ethereum becomes the second cryptocurrency after bitcoin to be added to the coinbase exchange. The decision to perform a hardfork of the network is made via a CarbonVote whereby 97% of the network supported the hardfork and returning of funds lost in the DAO. Ethereum argued for decentralized decision making and conflict resolution using an extra protocol. Ethereum Classic argued for 'code is law' and blockchain immutability. The DAO is hacked and 1.5m ETH worth ~$50m is claimed by an anonymous group. Gemini becomes the first licensed ether exchange. A planned hardfork protocol upgrade to the Ethereum network that went live on block 1,150,000. Homestead included protocol changes providing changes to the network giving increased ability for further upgrades, improved transaction speed, and improved security. A conference with a focus on research and development of blockchain applications. The Ethereum Frontier network is launched and the genesis block is created. 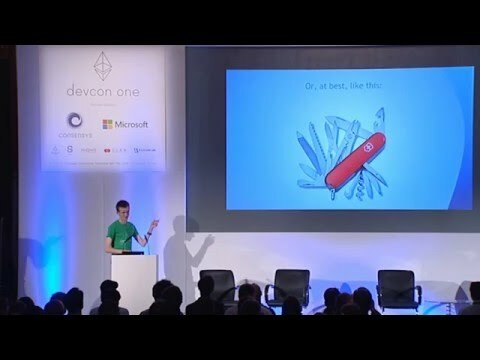 Ethereum is written from scratch and is not a fork from any other existing blockchain. The Olympic testnet is released with a prize fund of 25,000 ether for stress testing the network. ~12m (~16.5% of genesis) Ether are allocated to the development group. Ethereum presale raises 31,591 Bitcoins worth ~$18,000,000 at the time. Ethereum launched Ether tokens to the public. The initial price is 2000 ETH per BTC for 14 days until reaching a final rate for the token sale of 1337 ETH per BTC. The Ethereum yellowpaper, written by Dr. Gavin Wood, is released. The yellowpaper describes the technical details of the ethereum virtual machine. ﻿Coindesk coverage of Miami 2014 including Ethereum. Ethereum announced on bitcointalk and bitcoin magazine. The bitcoin talk announcement and bitcoin magazine article on Ethereum is posted by Vitalik Buterin. The post describes his vision of a trustless decentralized database with a Turing-complete scripting language.